Robert Kennedy once stated, “Moral courage is a rarer commodity than bravery in battle or great intelligence, but it is the one essential quality to change the world.” We, as Freemasons, know something about changing the world, but how serious are we about completing the work we are called to do? Do we possess that “moral courage” necessary to stand up to ignorance and change the world? Universal Co-Masonry is taking the steps to create a better world through the implementation of an innovative Five-Year Plan. The plan was released during the Honorable Order of Universal Co-Masonry’s Annual Summer Workshop at its headquarters in Larkspur, Colorado held from August 5th through August 12th of this year. Brothers arrived from Lodges throughout the Americas to attend the workshop, a semi-regular tradition in the Order for more than a century. The work of the Five Year Plan is separated into seven divisions of labor, including: 1) Expand the Masonic Philosophical Society, 2) Establish the Masonic Publishing Company, 3) Institute the Masonic College of Arts and Sciences, 4) Found the Masonic Order of Service, 5) Implement the Order’s Energy Initiative, 6) Finalize the Order’s Technology Initiative, and 7) Commence the Order’s Historical Document Preservation Program. The first step in the Five-Year Plan is to expand the reach of the existing Masonic Philosophical Society (M.P.S.) to include additional online platforms. The mission of the M.P.S. is to destroy ignorance through the advancement of research and understanding of the sciences, arts, and humanities. Utilizing online video conferencing technology, the M.P.S. will be better equipped to fulfill its mission across the globe. Since the commencement of the first online study center, individuals from around the world have been able to participate in the educational opportunities, including men and women from India, Madagascar, Germany, Spain, England, and Canada. “We are planning on establishing a European online M.P.S. study center, as well as a new physically-located M.P.S. Study Center in Asia,” explained President Matias Cumsille. The Masonic Philosophical Society was founded in January of 2009 to provide interactive educational opportunities for adults beyond the nationally required post-secondary schooling. Since 2009, the M.P.S. has expanded its operation to include 25 centers in North and South America. With more than 60,000 members, the M.P.S. has created a worldwide movement and community. To learn more about the Society, follow the online M.P.S. Journal, interact with the global community, or inquire about membership, visit the M.P.S. website or the M.P.S. Facebook page. Another ongoing project expected to get an evolutionary boost in the next five years is The Masonic Publishing Company: an innovative and independent publisher of books. “Its objective is to publish rare, esoteric, occult and philosophical books,” President Matias Cumsille added. Created to bring new light to the great enigmatic works of the past, M.P.C. books include new material added by Freemasons to inspire modern inquiry. The M.P.C. is the proud publisher of a selection of books which have been handpicked to inspire our readers to reach their fullest potential. One might call it a Must-Read List for Seekers of Wisdom, including members of the Brotherhood of Freemasonry, which encircles the globe. Another step in the Five Year Plan is the formation of a Masonic College to provide education for seekers throughout the world. 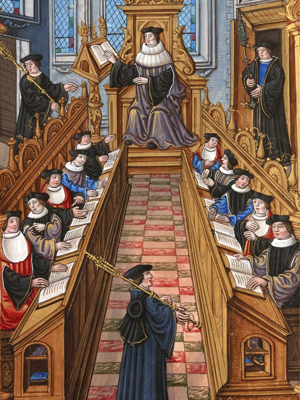 The Masonic College of Arts and Sciences (M.C.A.S.) is a private liberal arts college which will offer educational courses based on the synthesis of Ancient Wisdom and Modern Science. The College is oriented specifically for those individuals in search of higher understanding beyond that found in traditional universities and dogmatic institutions. M.C.A.S. endorses the Integrated Approach to its studies and discourages Reductionism – the approach used in an overwhelming majority of higher educational institutions. Other initiatives in the Five-Year Plan include the formation of the Masonic Order of Service, detailed in an earlier blog, an Energy Initiative to make the Order’s headquarters more self-sustaining through the installation of solar and wind power, and a Technology Initiative to update the structure of the Order for dissemination of Masonic studies. The final step of the Order’s plan is to preserve historical documents as part of the Order’s Historical Document Preservation Program. A call to greater service is part of the vision for the next five years detailed during the Honorable Order of Universal Co-Masonry’s Annual Summer Workshop at its headquarters in Larkspur, Colorado earlier this month. As part of the M.S.G.C.’s plan, the Institution of a Masonic Order of Service is a vital component of the Order’s Strategic Plan for the next five years. The details of the plan were included in a letter from the Order’s President Matias Cumsille, issued to the Brethren of Universal Co-Masonry during the workshop. “It has been a long-held sentiment of Masonry throughout the ages that the responsibility of service does not rely on the depth of our pockets but on the working of our hands,” Cumsille said in his letter. “The institution of the Masonic Order of Service is being established to serve our various communities in the physical world,” Cumsille wrote in his letter. Headquarters of the Honorable Order of Universal Co-Masonry in Larkspur, Colorado. The new service order will be available to the larger community outside of Universal Co-Masonry to request assistance, Cumsille said. “The needs of our communities are vast, and we are a source of giving hearts and giving hands,” he said. The announcement was part of a larger vision of and for the Order as it heads into the third decade of the 21st Century, a plan for the next five years announced during summer workshop on the campus in the small central Colorado town August 5th – 12th. Brothers arrived from Lodges throughout the Americas to attend the workshop, a semi-regular tradition in the Order for more than a century. Other announcements during the workshop included the ongoing formation of a Masonic College of Art and Science to provide education for seekers throughout the world and an energy initiative for the headquarters’ campus. On the later, plans were announced to make headquarters 100% sustainable through renewable energy installation, as an example to other organizations to protect the environment, as well as reducing utility costs. Service, as a Masonic ideal, is nothing new in the Order but external service has been less heard of in Universal Co-Masonry since its origins in the late 19th Century, though there examples, instigated mostly by individual lodges, can be recalled in the Order’s history. For instance, in 1923, a Lodge of the Order in California joined with male-only Orders to build a facility at Berkeley University to provide a facility for the use of children of Masons attending that state university. Over the years, Brothers have participated in local causes, such of food and clothing drives, have funded scholarships and participated in other community efforts. Most recently, individual lodges in the Order have been patrons of the arts and provided money and hands for concerns nearest their premises. The new Masonic Order of Service will provide the means to better organize those formerly informal and local efforts. Moreover, the new initiative will improve ongoing efforts through a more centralized process, as well as, work with other ongoing initiatives in the Order, Cumsille said in his letter. “As a United Federation of Lodges, we have an enormous synergy to draw from and, as such, there is a place for every Brother in these institutions, programs and improvements,” Cumsille’s letter stated.